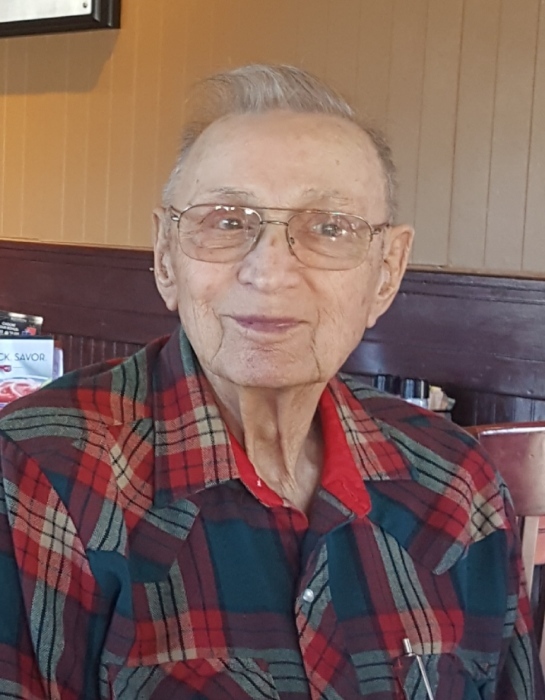 Irving Oneal (Flip) Fleming, age 84, longtime resident of Ponca City, went to be with his Lord on Friday March 15th 2019 at his home. Flip was born on September 17, 1934 to Isaac Merion and Maggie Fleming. One of 15 children, he grew up on a cotton and soybean farm in Cotton Town, Arkansas. Flip served in the U.S. Air Force from 1954-1962. On March 7, 1958 Flip was married to Lucille McDaniel. Of this union, 2 daughters were born; Debbie Clark and Lisa Holloway. Flip worked as an Appliance Repairman for Sears until his retirement in 1999. He continued to work at his own small business repairing washers, dryers, refrigerators; you name it up until the summer of 2018. In his free time, he could be found tinkering with an old washer or dryer, a clock, or a rifle. He loved to hunt and fish. He and his wife Lucille owned and operated a restaurant in the 70s called The Catfish Kitchen in Osage County. No one could fry fish and hush puppies like Flip! Flip was active in the Church of Christ community all of his adult life. He loved to share stories of his youth and never saw a stranger. It seems everyone in Ponca City knew him. Flip is survived by his wife Lucille Fleming and his daughters; Debbie (Mark) Clark and Lisa (Michelle) Holloway, grandchildren Justin (Natascha) Holloway, Ashley (Cecil) Villines, Amanda (Andy) Miller and Nicole (Alex) Clark, great-grandchildren Benton, Laila, Noemi, Catie, Johanna, and Bonnie as well as a younger brother, J.H. (Judy) Fleming and several nieces and nephews. Services will be held on Saturday, March 23, 2019 at 11:00 a.m. at North Jardot Church of Christ 401 N Jardot Rd. Stillwater, OK 74075. In lieu of flowers, donations can be made to: North Jardot Church of Christor Hospice of Ponca City. Remembrances may be shared online at www.stittsworthfuneralservices.com.